Cass Gilbert was the U.S. architect responsible for the traditional style and regal proportions seen in many of the nation's finest public buildings—including the Supreme Court Building, in Washington, D.C. His remarkable body of work included federal, state, municipal, educational, and religious structures as well as facilities designed for commercial, industrial, and private use. Gilbert believed strongly that architecture should serve the established political and social order; much of his work continues to serve its public purpose decades after its conception and completion. Gilbert was born November 24, 1859, in Zanesville, Ohio, where his grandfather, Charles Champion Gilbert, was the first mayor. He attended school in Zanesville until the death of his father, Samuel Augustus Gilbert, in 1868. At that time, his mother, Elizabeth Fulton Wheeler, apprenticed him to an architectural firm in St. Paul, Minnesota. There, he completed his education and trained as a surveyor. In 1878, Gilbert enrolled at the Massachusetts Institute of Technology, where he studied architecture for one year. Income from occasional surveying work allowed Gilbert to embark, in 1879, on the customary grand tour of Europe, undertaken by many young men of his social standing and economic means. He traveled in England, France, and Italy and was exposed to many of the classic architectural styles that would later dominate his work. Upon his return to the United States, Gilbert was employed as a draftsman by the New York architectural firm of McKim, Mead, and White, where he was influenced by name partner and noted architect Stanford White. His association with this firm gave him an opportunity to hone his skills and to learn the business side of running an architectural enterprise. Seeing his promise, the firm sent him to St. Paul in 1881 to oversee a building project. By December 1882, Gilbert had severed ties with McKim, Mead and formed a partnership with St. Paul architect James Knox Taylor. Together, Gilbert and Taylor pursued both institutional and residential work, but they were unable to succeed financially. The business partnership dissolved. Well organized and efficient, Gilbert found that he preferred to work alone; he did not form another professional partnership during his career. His architectural work from this period included the Dayton Avenue Church, St. Paul (1888); St. Martin's by the Lake, Minneapolis (1888); and the Lightner House, St. Paul (1893). Gilbert did establish a personal partnership, on November 29, 1887, when he married Julia T. Finch. Their growing family—which ultimately included Emily, Elizabeth Wheeler, Julia Swift, and Cass, Jr.—added to the financial burdens of the struggling architect. To supplement his income from design work, Gilbert sold watercolors. He had begun painting during his European travels, and he was known locally as a talented artist. In 1896, Gilbert landed the job that would launch him to national prominence: he was appointed architect for the Minnesota State Capitol Building, in St. Paul. The majestic domed structure that he created was immensely popular. Both its scale and detail were considered appropriate for its public purpose. His success convinced Gilbert that he was ready to compete in New York. "Let us pay our architectural debts to the creators of the plan of Washington." Shortly after moving to New York, Gilbert was among those invited to submit plans for the U.S. Custom House. He won the competition, but not without controversy. Other firms involved in the competition thought Taylor, then architect of the Treasury Building, in Washington, D.C., had unfairly influenced the choice of his former partner. Despite the controversy, Gilbert was eventually awarded other commissions, including the Union Club and the West Street Building, in New York, and the Essex County Courthouse, in Newark, New Jersey. He also began to play a role in organizations associated with his profession, being elected president of the American Institute of Architects in 1908. At various points in his career, he was an active member of the Architectural League of New York, Academy of Design, National Institute of Arts and Letters, Academy of Arts and Letters, Royal Institute of British Architects, Royal Institute of Canada, Architectural Society of Liverpool, Royal Academy of Arts, and French Legion of Honor. Although Gilbert entered, and won, a number of competitions during his career, most of his work came from his professional associations and his power of persuasion. His pursuit of the contract for the Woolworth Building, in New York, is just one example of his tenacious nature. Hearing that Frank W. Woolworth was going abroad before naming an architect for his new building, Gilbert booked passage on the same boat; he had a signed contract in hand before the boat docked. The Woolworth Building, with its tremendous height and inventive use of terra-cotta, was a huge success. It was the tallest building in the world and it towered over the New York skyline for almost twenty years. The building made Gilbert a celebrity and substantially increased the demand for his professional services. The Scott Memorial Fountain, Detroit (1914); Detroit Public Library (1917); Brooklyn Army Terminal (1918); St. Louis Public Library (1921); and a host of other schools, banks, libraries, museums, and municipal structures were commissioned in the years following his completion of the Woolworth Building in 1913. In 1910, Gilbert was appointed to the National Commission of Fine Arts by President William Howard Taft. He was reappointed for another term by President woodrow wilson in 1914. Through this association, Gilbert secured some of his most prestigious work, including the U.S. Treasury Annex (1918), chamber of commerce (1924), and, finally, the Supreme Court Building. In 1928, Chief Justice and former president William Howard Taft became chairman of the Supreme Court Building Commission, created by Congress to build a permanent home for the nation's High Court. Taft remembered Gilbert's work on the National Commission of Fine Arts and selected him to design the new Court building. The structure envisioned by Gilbert was a monumental temple of justice—one that evoked the power, authority, and solemnity of the Court. His design, which filled the square-block site, featured a neo-classical white marble structure with an enormous central hall housing the courtroom. Two symmetrical wings on either side of the central hall contained offices, libraries, and other Court functions. The focus of the Court chamber was an elevated bench, which looked out on seating for more than three hundred spectators. The interior layout of the building separated the justices' private areas from the public areas, and was designed to facilitate grand entrances into the courtroom. The building's private areas contained three-room office suites, a robing room, underground parking and entrances, temperature- and humidity-controlled library and document storage facilities, and pressrooms. Gilbert's architectural sketches were approved by the commission in 1929, and construction began in 1931. The building was not completed until after Gilbert's death in 1934; Gilbert's son, Cass, Jr., supervised the final stages of the project. The Supreme Court Building opened its doors to the public on Monday, October 7, 1935. Initially, the building was criticized for both its size and its exterior embellishment. To a large extent, the size was dictated by the site: Gilbert strove to complement the scale of the adjacent Library of Congress and of other buildings in the Capitol complex. Charges of wasted space in the halls and corridors, and excessive seating in the courtroom, have diminished with time. The building's exterior embellishment featured prominent legal figures and themes and was executed by some of the finest artists and sculptors of the day. It is said that one of the toga-clad figures depicted on the building bears the likeness of the architect himself. As a space designed for hearing arguments and holding public discussion, the large courtroom was also criticized for its poor acoustics. Time and improved sound technology have diminished this criticism. Today, the Supreme Court Building is considered the pinnacle of Gilbert's work and is one of the nation's finest public buildings. While developing the Supreme Court Building, Gilbert also continued to work in New York and across the country. During this period, he designed the New York Life Insurance Building, the U.S. Courthouse in New York City, the George Washington Memorial Bridge, and the state capitol buildings in Arkansas and West Virginia. Biographer Egerton Swartwout described Gilbert as "purposely impressive in manner and rather pompous at times." This description could as easily be applied to the public buildings Gilbert designed. Gilbert's work stayed true to the traditional themes that inspired him as a young man traveling in Europe. Though his Woolworth Building and other commercial structures contributed to the evolution of the modern skyscraper, Gilbert was not a fan of the modern functional architecture that emerged in the 1920s. The turmoil of World War I and the economic difficulties of the 1920s were said to have solidified Gilbert's commitment to classic traditional style. Still much in demand by those who shared his architectural vision, Gilbert died suddenly May 17, 1934, on a golf holiday at Brockenhurst, England, at age seventy-five. He is buried in New York City. His personal and professional papers are housed at the Library of Congress—across the street from his Supreme Court Building. Blodgett, Geoffrey. 2001. Cass Gilbert: The Early Years. St. Paul, Minn.: Minnesota Historical Society. Blodgett, Geoffrey. Cass Gilbert, Architect, Conservatives at Bay. Bluestone, Daniel M. 1988. "Detroit's City Beautiful and the Problem of Commerce." Journal of the Society of Architectural Historians. Gaskie, Margaret F. "The Woolworth Tower." Architectural Record. Irish, Sharon. "A Machine That Makes the Land Pay: The West Street Building in New York." Technology and Culture. Irish, Sharon Lu. "Cass Gilbert's Career in New York, 1899–1905." (Ph.D. diss.). Jones, Robert Allan. 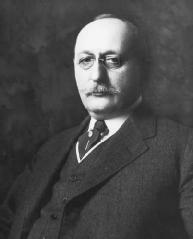 Cass Gilbert, Midwestern Architect in New York. Jones, Robert A. 1973. "Mr. Woolworth's Tower: The Skyscraper as Popular Icon." Journal of Popular Culture. McGurn, Barrett. 1982. "Slogans to Fit the Occasion." Supreme Court Historical Society. Murphy, P. 1981. "Minnesota's Architectural Favorite Son." American Institute of Architects Journal. Myers, Rex C. The Montana Club: Symbol of Elegance. Tunick, Susan, and Jonathan Walters. The Wonderful World of Terra Cotta. Vyzralek, Frank E., and Neil B. Thompson. 1974. Minnesota's State Capitol: The Art and Politics of a Public Building. Minneapolis: Minnesota Historical Society.